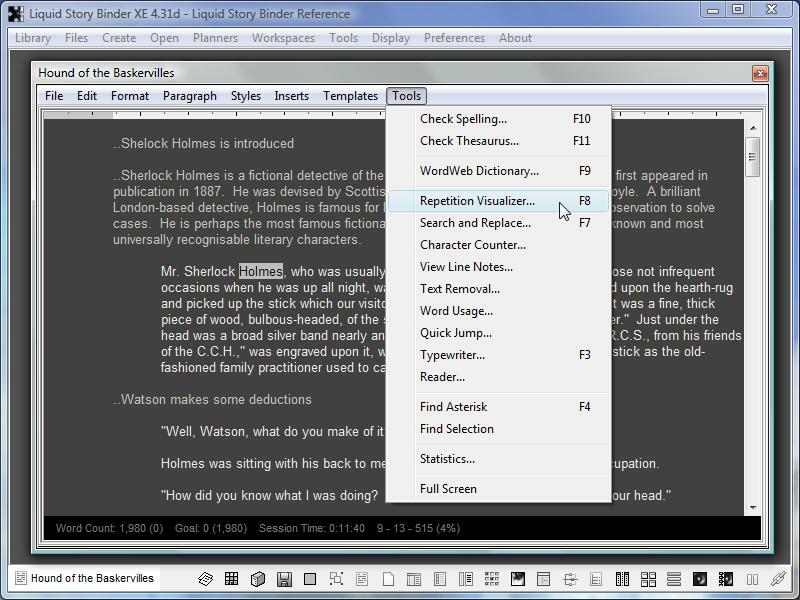 Liquid Story Binder's Repetition Visualizer allows writers to quickly view and tally individual word instances. 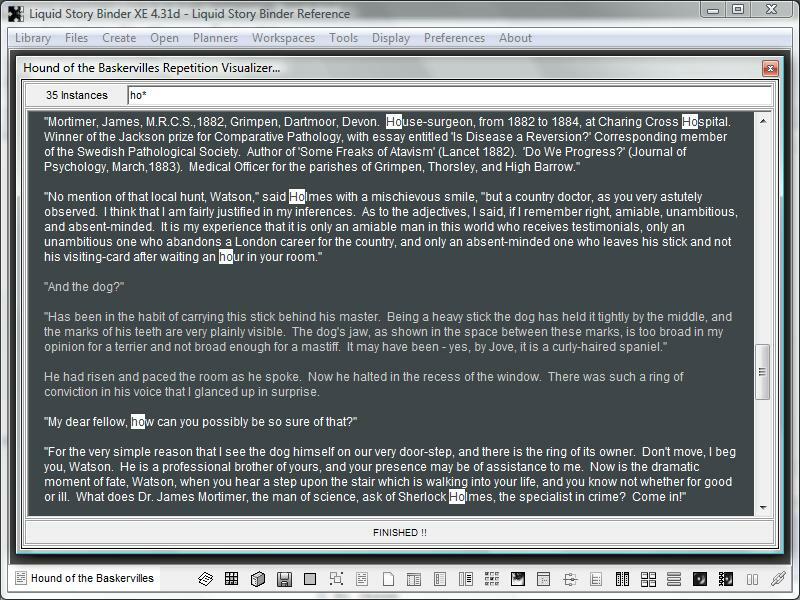 To open the Repetition Visualizer, choose 'Repetition Visualizer' from the Chapter, Builder, or Journal 'Tools' menu. 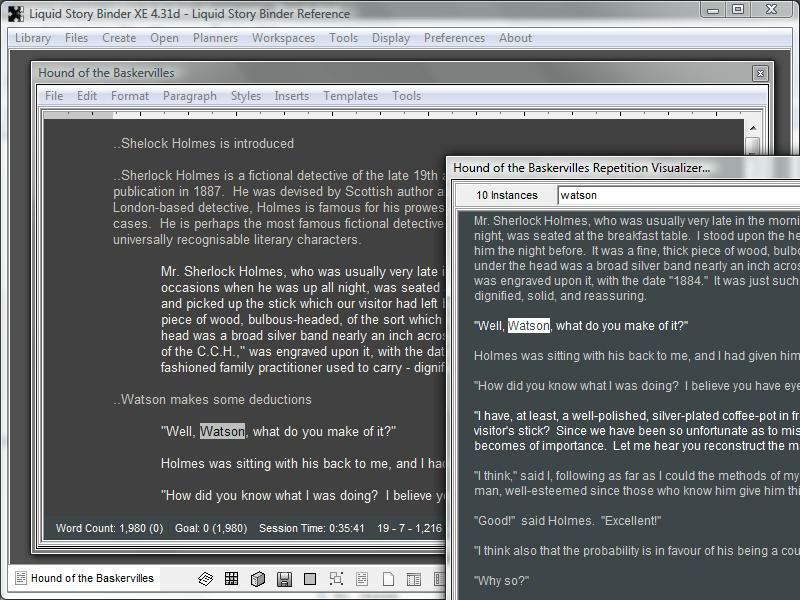 Click any word to see it highlighted throughout the entire document, allowing you to gauge its potential overuse. 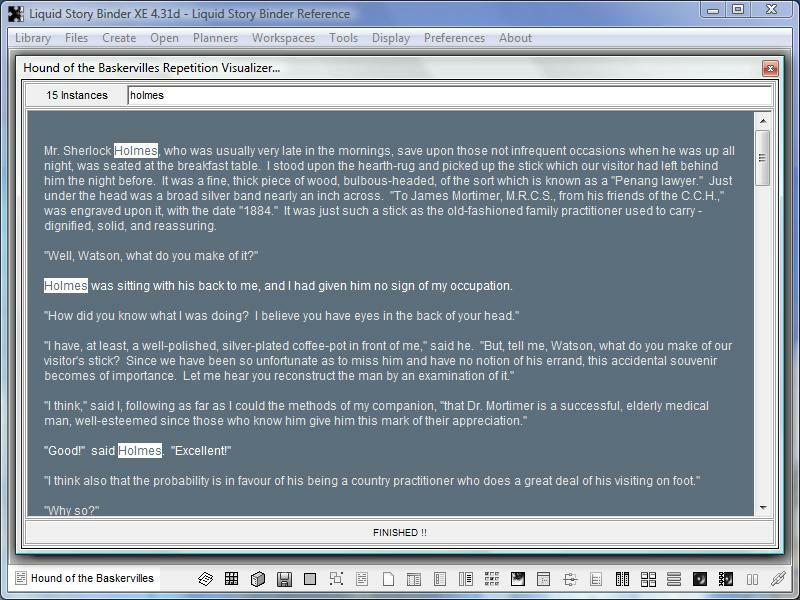 In the 'Repetition Visualizer Tally Box' view a count of the selected word. Enter a specific word in the entry box located at the top of the dialog to quickly visualize your work. By default, the Repetition Visualizer searches for whole words only. Use an asterisk to search for partial instances. For instance, a search of dark* will result in findings of dark, darkness, darkly, darkened, darkest. A search of *an* will result in findings such as and, angel, change, lance. The currently selected word is reflected in the parent document, ready for editing.